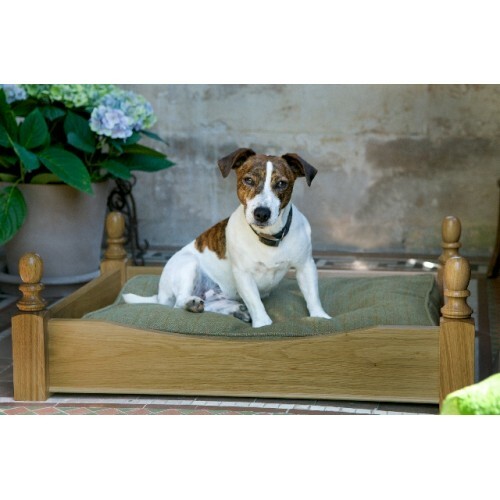 Our beautiful hand made dog beds are a deserved treat for that special canine friend. The finials are hand turned and the rails are fixed with staggered, mortice and tenon joints ensuring a beautiful and robust bed that will last a lifetime. 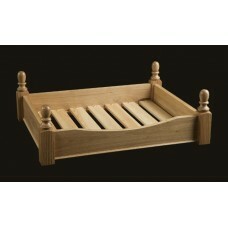 The base is made from solid pine slats held in place with solid brass fixings. Your pet’s name or an image can be engraved on the front face of the bed. 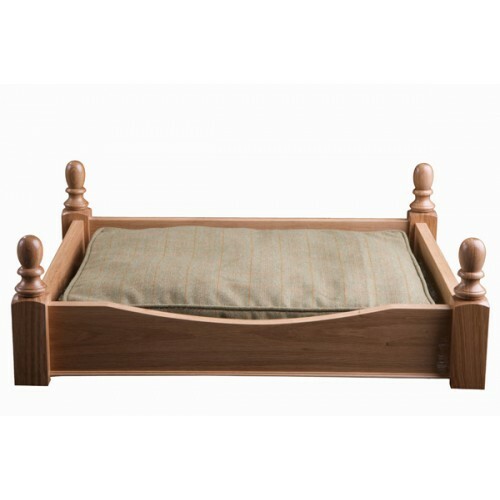 Giving a real luxury touch, a piped tweed cushion with a thread zip is also available with two inch memory foam bedding.